Identifying and understanding the stages of your construction project will help you manage your team and avoid surprises as your project proceeds toward completion. At Donald Rushing Construction Company we are known for our construction management expertise and for being one of the best Savannah, GA general contractors. In this new post, we’ll identify the broad stages of a construction project for you. In this stage, construction teams discuss the design elements and prepare feasibility studies to determine the project’s requirements and potential obstacles. Once the design is vetted and finalized, it acts as the over arching guide light for the entire construction team. During the planning stage, the construction managers examine all of the skills and materials that the building design requires. They will then work with suppliers to source products and sub-contractors, price the various elements, and document the project’s scope of work, including preparing a site analysis. At this stage, the site analysis is verified and the construction managers assemble the initial materials and crews required to break ground on the project. Permits are arranged, signed and paid for so that work can begin. At the build stage, the construction crews follow the construction plan; in short, they build the building. While the work is being completed, the construction managers also inspect and monitor the building process, ensuring that each step is completed safely, according to the timeline and local codes, and to the specifications outlined in the design phase. 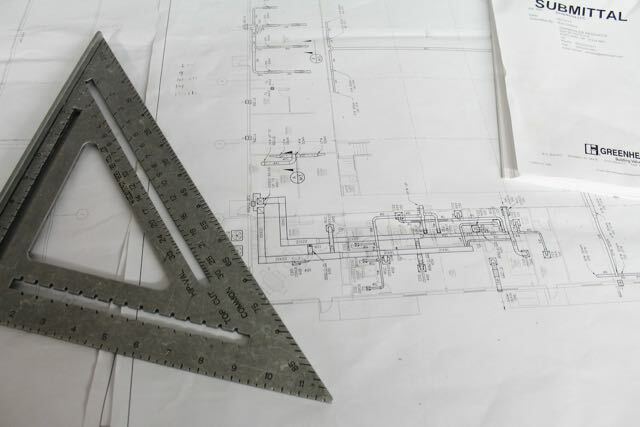 Once the construction work is completed, a final site analysis is performed, new and outstanding invoices are settled, and the project is then closed. In most instances, when requested, your Savannah, GA, construction manager will outline the project successes and provide additional information about unforeseen issues that arose during the project. Our team at Donald Rushing Construction Company has more than 30 years of commercial experience. We understand the construction phases and communicate our progress through them in great detail to the project owners. From design to budgeting to planning through construction, our success as a Savannah, GA, general contractor is based on our knowledge, our capabilities, our attention to detail, and our commitment to client goals. To learn more, call today for a consultation. What’s the Difference Between A Construction Manager and A Civil Engineer?